Mid-Atlantic States Travel, Travel in the U.S.
Nashville is known for its country music scene, delicious food, and rich history, but it’s also surprisingly kid friendly. There are an endless number of attractions, restaurants, and parks to explore, and it is hard to do the city justice in a few days. If you’re looking for ideas on what to do while you’re there, we’re sharing our ideas for fun things to do in Nashville with kids. *We received complimentary Total Access Discount Attraction Passes from Visit Music City and were guests of the Grand Ol Opry for the purpose of this review. As always, opinions are 100% our own. Located just outside downtown Nashville, Cheekwood Estate & Gardens is a 1930s era mansion with spectacular gardens for exploring. 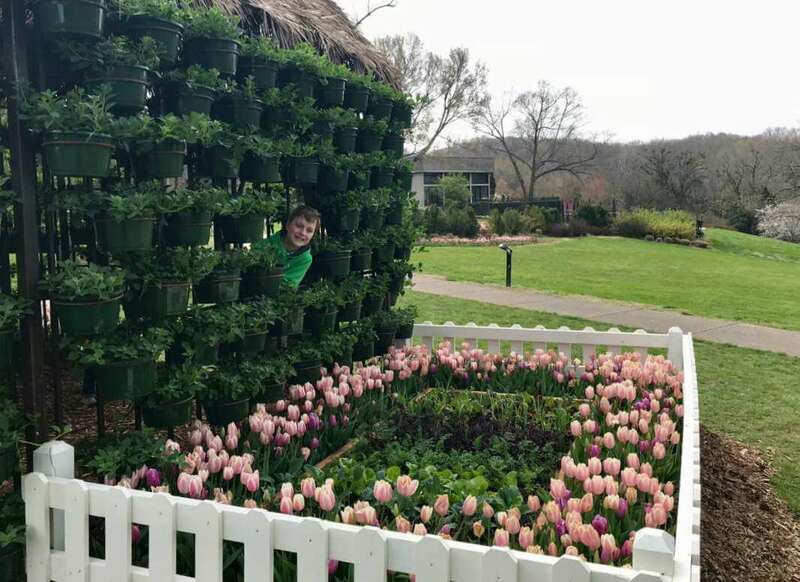 While it may not sound entirely kid friendly, it certainly is, as children can run through the grass, see model trains, take a sculpture tour, and even try a scavenger hunt provided by the gardens. There are seasonal exhibits and festivals making it a delightful destination any time of year. Andrew Jackson was known as “The People’s President” and made his home just outside Nashville in a beautiful mansion surrounded by over 400 acres of farm land. The main exhibit area tells the story of this humble man who rose to lead a nation. 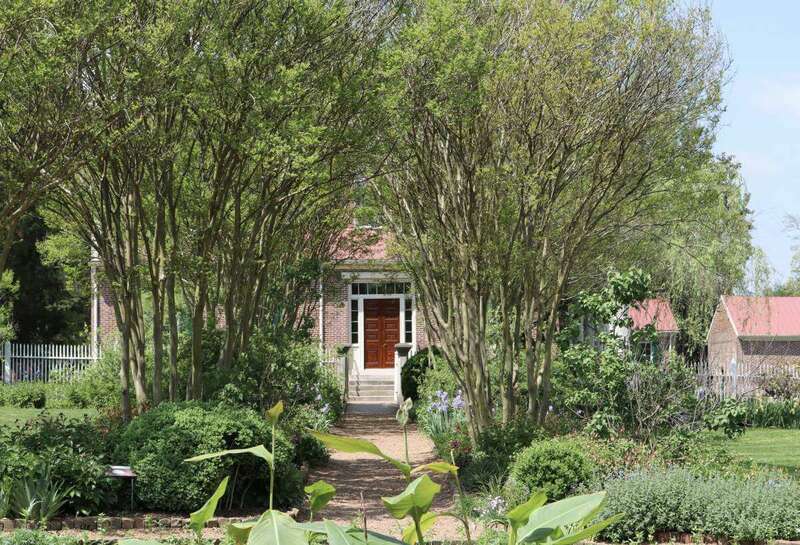 Take a stroll through the gardens, or take an organized tour with one of the guides. The Hermitage also shares the story of the slaves who lived on the property through personal narratives because they believe their stories need to be heard. It is extremely well done and worth a visit for kids of all ages. View of The Hermitage from Rachel’s Garden. Not far from Cheekwood Estate is Belle Meade Plantation, was at one time a 5,400 acre thoroughbred horse farm complete with a Greek Revival Mansion, deer park, train station and rock quarry. Today, tours are led by guides in period costumes and finish with a wine tasting from the Belle Meade winery. Kids can purchase a plantation backpack filled with a treasure map and key to keep them engaged throughout the tour. 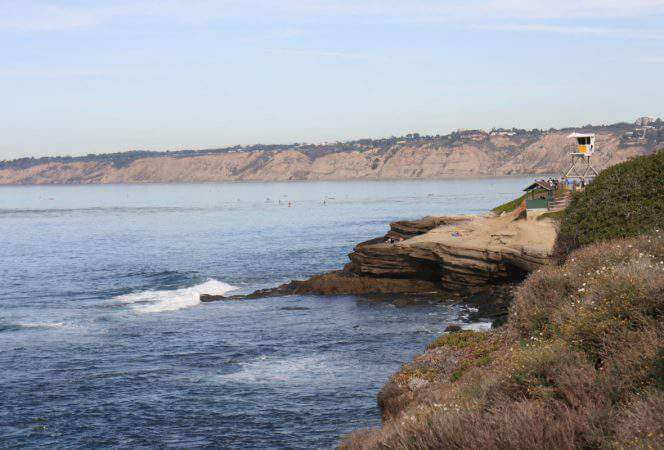 A beautiful property everyone can enjoy. *The Visit Music City Total Access Discount Attraction Pass can be used for entrance to four attractions from a list of 33 offered by the Nashville tourism office. The three attractions above are all partners, as are several others on this list. 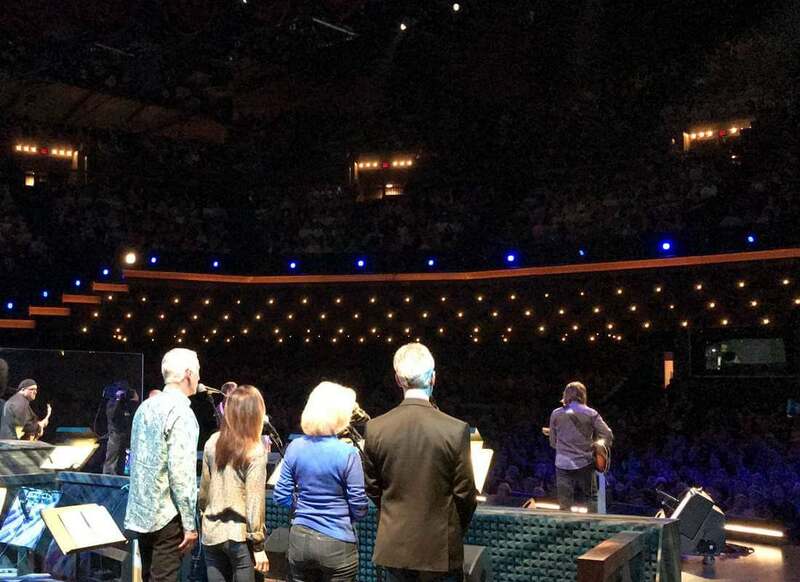 Country music is king in Nashville, and there’s no better place for a performance than the Grand Ole Opry. I took my kids to an evening performance (there’s usually two per night) and they had no idea what to expect. There were six performers scheduled throughout the evening including recent ACM award winner, Lauren Alaina. It was one of the most amazing experiences, and the kids loved it! Backstage at the Grand Ole Opry! We also had an opportunity to take a VIP backstage tour during one of the performances. Did you know the musicians have mailboxes at the Opry? We took a peek in all of the dressing rooms (each one is differently themed) and even went on stage during one of the performances. It’s mind blowing to stand on stage and look out at the audience. I don’t know how musicians do it all the time! It was definitely a night to remember and you can see a peak of Chris Janson’s performance below. The Country Music Hall of Fame has a little bit of everything, from Elvis Presley’s custom Cadillac to Loretta Lynn’s ball gown, to a Taylor Swift tour bus. Kids will love the interactive stations allowing them to design their own “country style” and watch famous country singers on television shows (think “The Simpsons” with Dolly Parton or Johnny Cash). In the Taylor Swift Education Center families can belt out tunes in a private recording studio and create their own album covers computers. 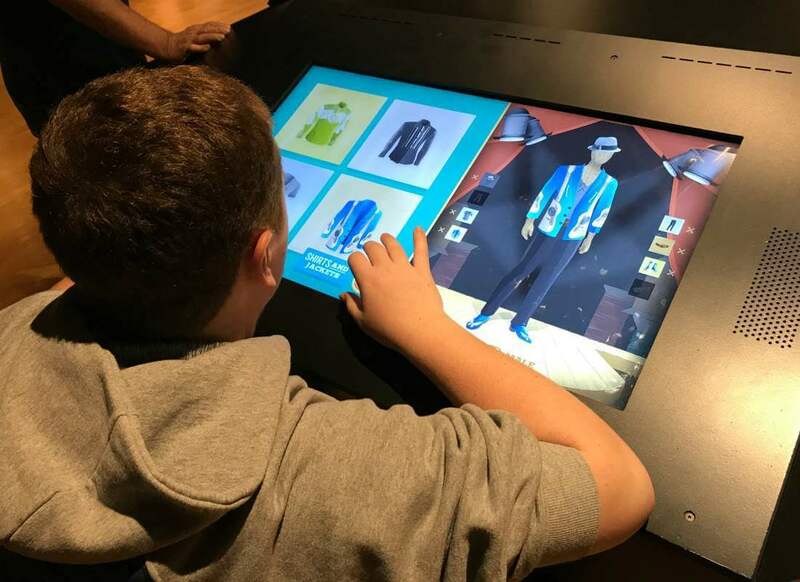 Kids can find their “country style” on interactive displays at the Country Music Hall of Fame. The Adventure Science Center will easily entertain kids for several hours. Start at the enormous multi-story Adventure Tower in the main hall and head off from there to explore. The Bodyquest area will have kids learning about body functions in a way that’s entertaining and educational. 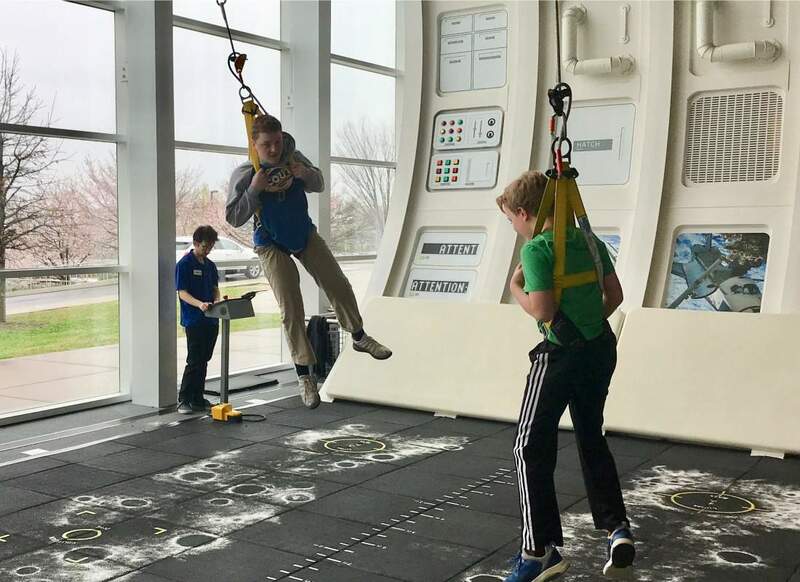 Space Chase is all about the solar system and includes a moon walk experience where kids are fitted with harnesses and lifted up in the air to feel like they’re walking on the moon! There are endless nooks and crannies at the Adventure Science Center so get ready to spend some time learning and having fun! Pancake Pantry – near Vanderbilt, delicious pancakes. Arrive early, or expect a line. Thankfully, the line moves pretty fast. Frothy Monkey – this coffeehouse has several locations and serves breakfast, lunch, and dinner. We tried breakfast and were not disappointed by the sausage and gravy or customized oatmeal. Everything on the menu looks delicious! Pinewood Social – this restaurant has it all from a bowling alley to bocce ball and a dipping pools! It’s the perfect spot for anything from hot chicken to lobster mac and cheese. The Pharmacy – The Pharmacy calls themselves a burger parlor and beer garden, and how can you go wrong with that? There’s plates for the kids and plenty of satisfying burger, chicken, and sausage options to choose from. Acme Feed & Seed – this multi-level restaurant maintains a lot of its original charm from its days as a feed store. There are several levels to the building, but most people go for the rooftop view of Nashville. Enter on the first floor and place your order, then take a seat and wait for it to be delivered. In the meantime, enjoy the live music or take a peak upstairs at the sushi bar as it feels completely different from the main level. There’s a lot to see here and good music to entertain the kids, but expect it to be loud (quieter on the second floor). Oh, and the food is killer of course. Try the ahi tuna sandwich or pulled pork nachos. Butchertown Hall – located in the Germantown neighborhood of Nashville, this restaurant is all about smoked meats and tacos. Honestly, you can’t go wrong with either one. Great vibe with indoor and outdoor seating, kids will love the chips and guacamole and for kids who aren’t so daring, a burger is always an option. Goo Goo Shop & Dessert Bar – just steps from Broadway is the home of the Goo Goo Cluster. This delicious confection is made of marshmallow, chocolate, caramel, and peanuts. At the shop, you can try different Goo Goo flavors (highly recommend the Supreme), order sundaes and milkshakes from the dessert bar, or even try a chocolate class. You’ll be tempted to try all the flavors, so make sure to go in with an empty stomach or take some home. Jeni’s Ice Cream – with several locations around Nashville, this is the one ice cream shop my kids ask to return to again and again. This is not your typical ice cream. Try the salted honey pie, the gooey butter cake, or the salted peanut butter with chocolate. It just melts in your mouth. Las Paletas – the perfect treat for a hot summer day, paletas are gourmet popsicles in whimsical flavors. There’s creamy, fruit, and mini options, but try the Nutella, pineapple raspberry, and mango. They’re so refreshing! Nashville is one of my favorite spots to find street art. There are some great murals in The Gulch (What Lifts You – Wings) and 12 South. 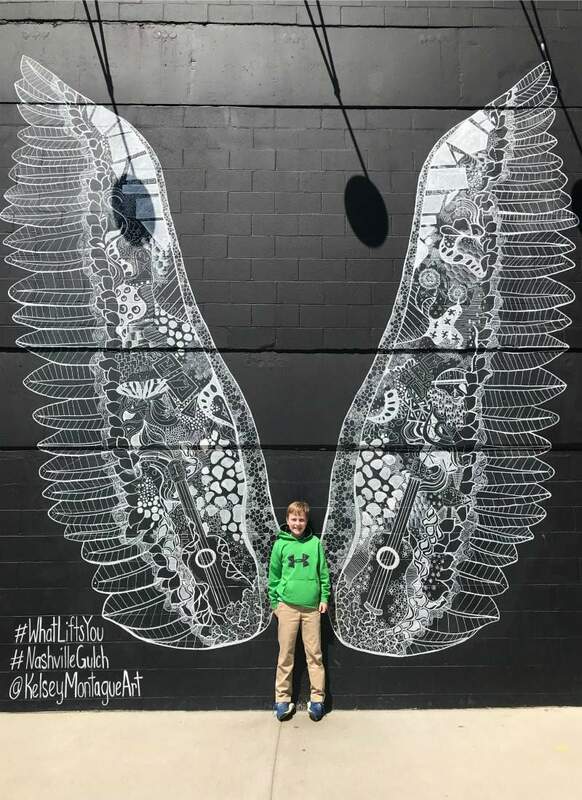 For a complete guide to some awesome Nashville street art, we love this post from Camels & Chocolate – A Work of Street Art: The Best Murals in Nashville. 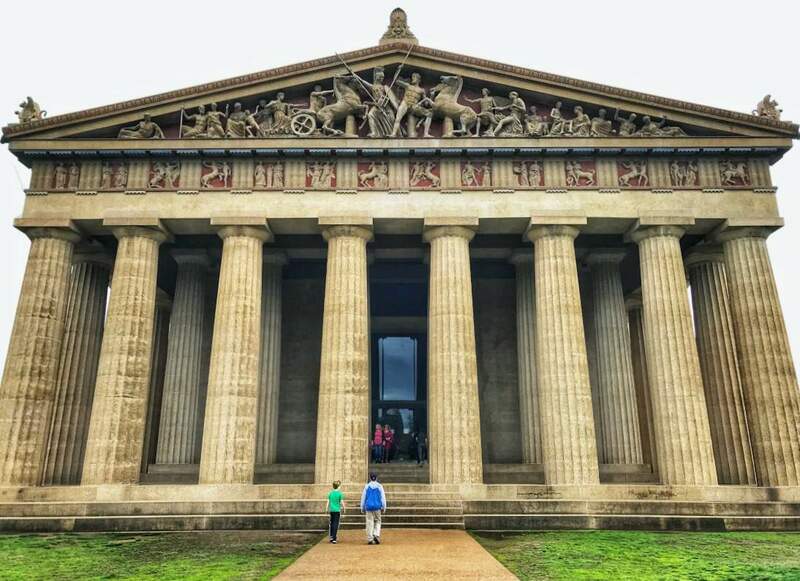 A full size replica of the Greek Parthenon is located in the middle of Nashville. Located in Centennial Park, it’s worth a stop with kids because they can run around the building and admire its sheer size. Inside is a small art museum and a 42 foot golden Athena statue. Afterward, let children explore the lake and gardens by taking a walk around the park. 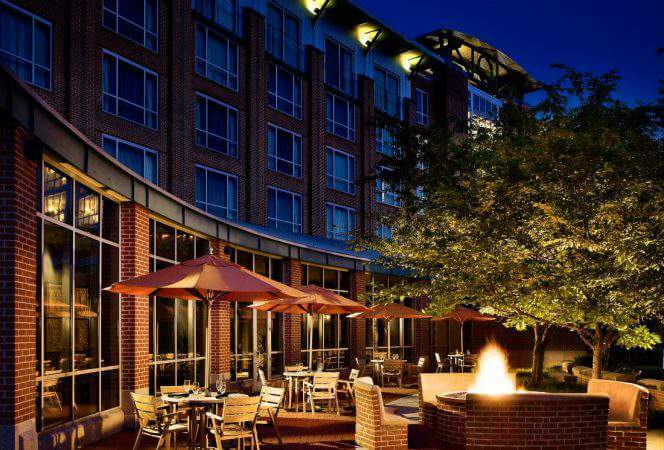 For a convenient location near Vanderbilt, we would recommend the Kimpton Aertson. There’s a rooftop pool, it’s walking distance to many restaurants, and the rooms are beautiful and spacious. Another idea is the Gaylord Opryland Resort. The property is a bit outside the city next to the Grand Ole Opry, but it is a massive hotel with a river cruise, shopping, dining, and multiple swimming pools. Kids will love the constant activity at the resort. · Mid-Atlantic States Travel, Travel in the U.S.